In the past, my packing list didn’t have any merino wool pants or trousers in it. Instead, I opted for a pair of Slim Dungarees by Outlier. I’ve had two models since 2013. But now I run Merino Wool Rocks, so I wanted to research the best options for wool pants. I like to travel a lot as well as hike and I also do CrossFit. 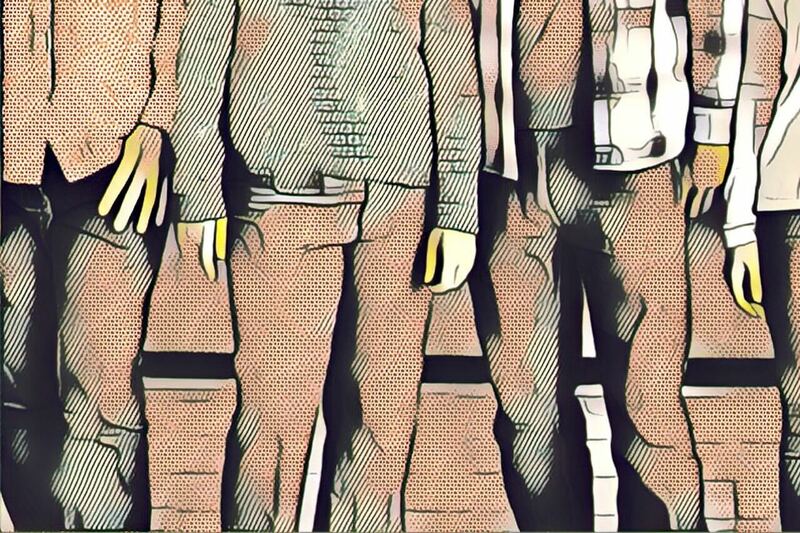 Merino wool does suffer from the drawback that it’s not as durable as other synthetic fabrics (although I feel this drawback is made up for with the lack of the disadvantages of synthetic or cotton fabrics). So, I was looking for a pair of pants that could withstand a beating, yet keep all the benefits of merino wool. After trying out pants from various different merino wool brands I’ve found one brand I’m happy to recommend as well as some good runner ups. I reached out to Makers and Riders, and I had a nice chat with the man behind the brand, Chris. They have several models. I have had the 4 Season AeroDri Wool Jeans for over a year now, wearing them almost daily. Despite the amount of wear, they’re still in good shape. Highly recommended. It exists in 2 colours and I have it in both colors. The dark ones are my everyday pair. I even wore them on my wedding day! Here’s three pairs of pants that came in as runners-up. Icebreaker have several different options ranging from 99% merino wool to 30% and Asos has a stylish option at a very reasonable price. they’ll be a good option for outdoors work, hiking or hunting. These are a 50:50 wool to cotton blend, so they’re ideally suited as travel pants, rather than outdoor pants, because cotton blends won’t perform as well when wet. Budget option AND 100% merino wool for a classy cut! Also, ASOS offers global free shipping. Downside? They recommend dry cleaning. It tends to be easier to find jogger-style pants that are 100% merino. If you are looking for a baselayers to go under, you can also check our recommendation of bottom baselayers for men. 100% Wool, 210g/m²!, dry clean! 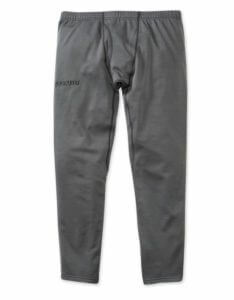 These Ultra Merino 210 Zip-off bottoms from Kuiu look more like lounge pants and are a good choice for outdoors activities such as skiing, snowboarding or hunting in cold climates. It’s best for: base layer or layering pant because of the construction with full length leg zippers with hook and loop tab closures. Ideal for cold-weather running, training in the gym or relaxing after a long, chilly day outside. We like the elastic waistband and the side pockets. Thanks for your tip! I’ll check out the brand. 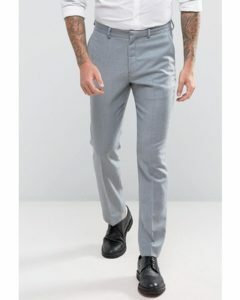 I’m looking for 1 single pair of pants which I can do everything with, from biking to work, to traveling, hiking, to doing presentations for work. I read a lot of good things about the slim dungarees which you also have. I haven’t bought them yet since they aren’t made of Merino, so I was wondering weather they are also smell resistant when wearing them a long time without washing them. Since the 4 Season AeroDri Wool Trousers F16 are made from merino wool they also caught my attention, since I love merino wool in my shirts. Would you advise the 4 Season AeroDri Wool Trousers F16 over the Slim Dungarees? Thank you in advance! The Slim Dungarees have amazing durability. I have a pair that is going over 3 years. I wore them today while cycling down to my CrossFit box in the rain. I’ve found, however, they do get looser over time. 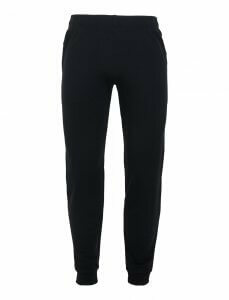 The 4 Season AeroDri Wool Trousers F16 feel nicer, however once you wear them in. Interestingly the first couple of days they were a little “prickly” but then they wore in fine. 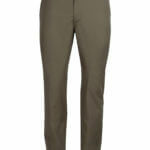 Additionally, the price is a significant plus with the F16 trousers – much cheaper than Outlier.